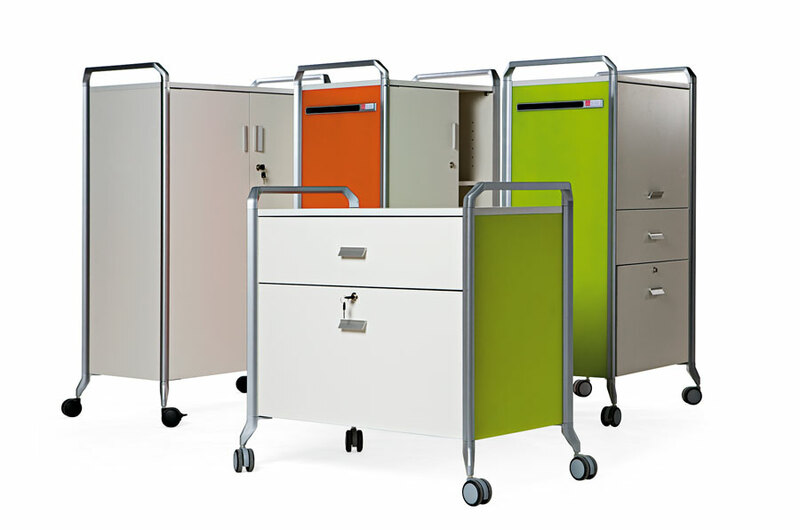 On Time is a colourful collection of modules that optimize the act of filing. 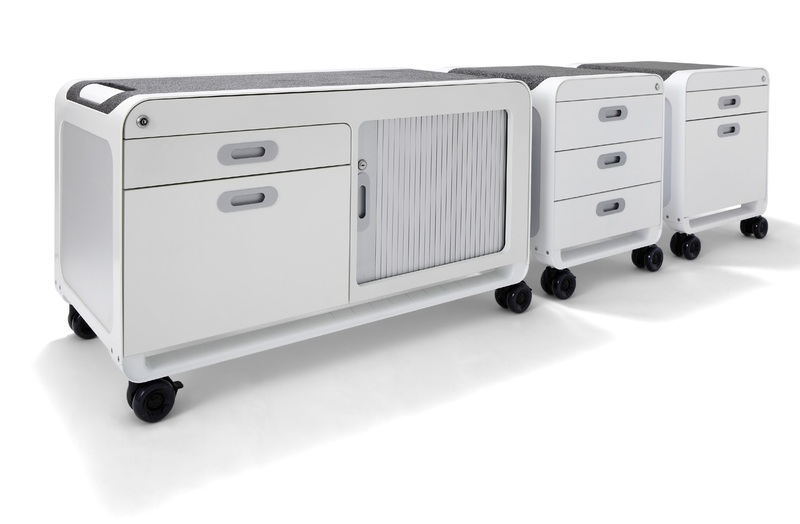 A functional range that provides clever solutions to the array of filing and personal storage needs. 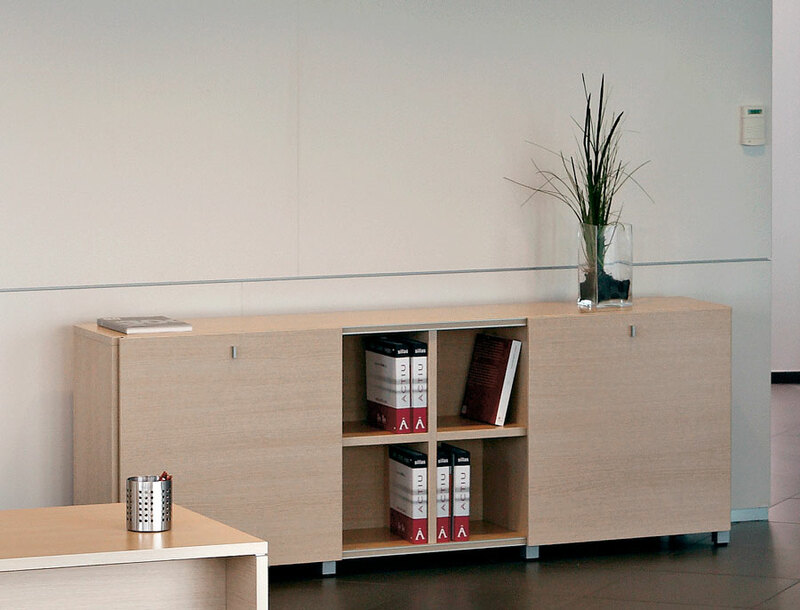 Its unique style and the creativity of its finishes make On Time a perfect addition to any work space wanting to incorporate more pizazz and contemporary touch in their working space. 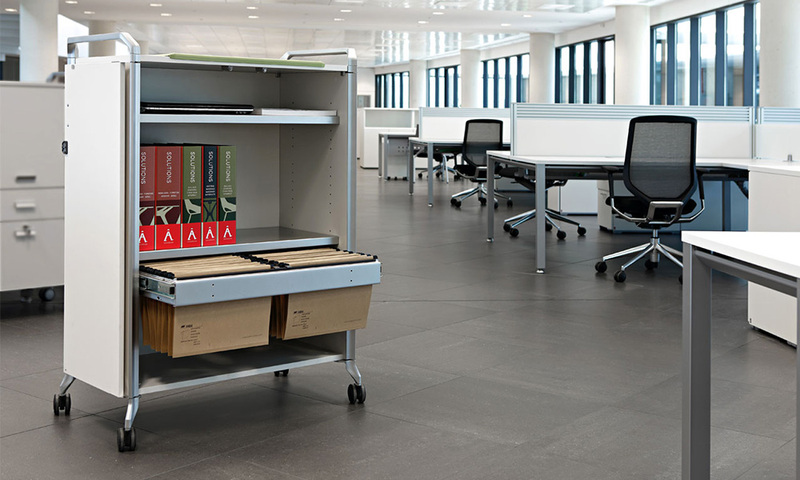 Modular storage system on 65mm castors, the font of these are lockable. 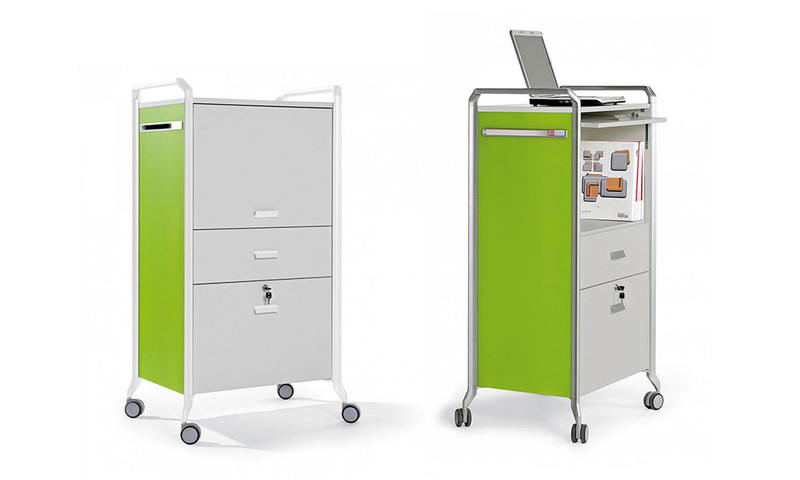 The On Time storage is made from MFC in white or maple with a choice of orange or green MFC panels on the sides only. 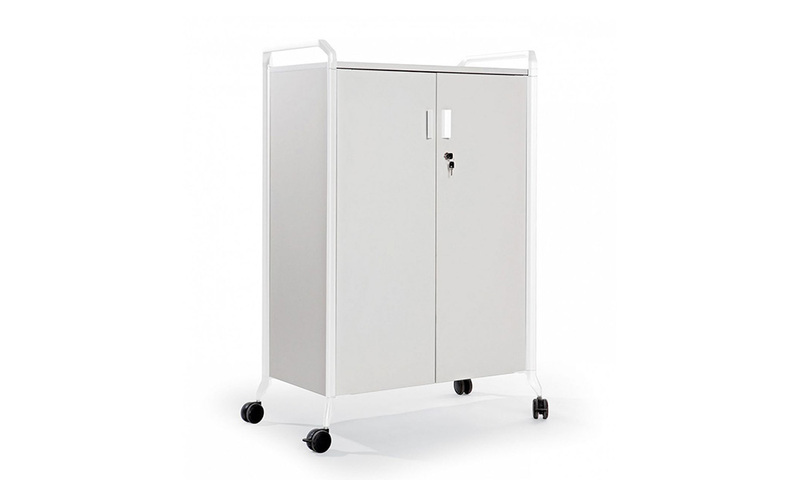 All units are key lockable with shelves, filing drawers, mail box or pen and paper tray depending on the unit chosen. 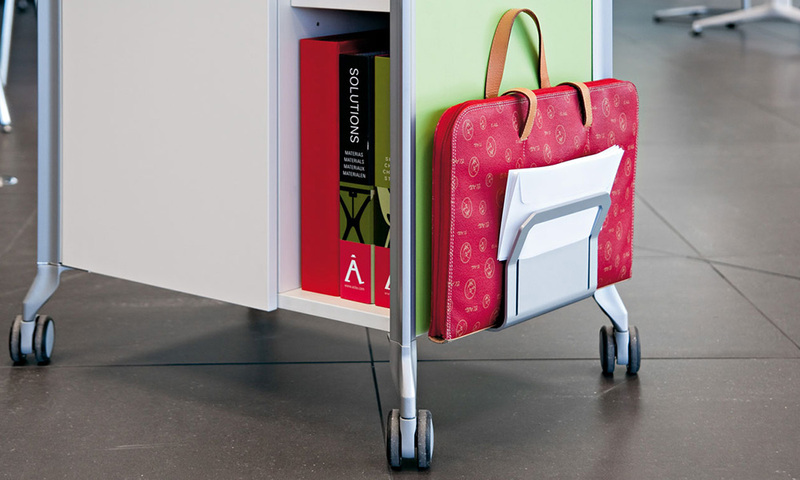 Handles are moulded aluminium and designed for easy movement of the units.